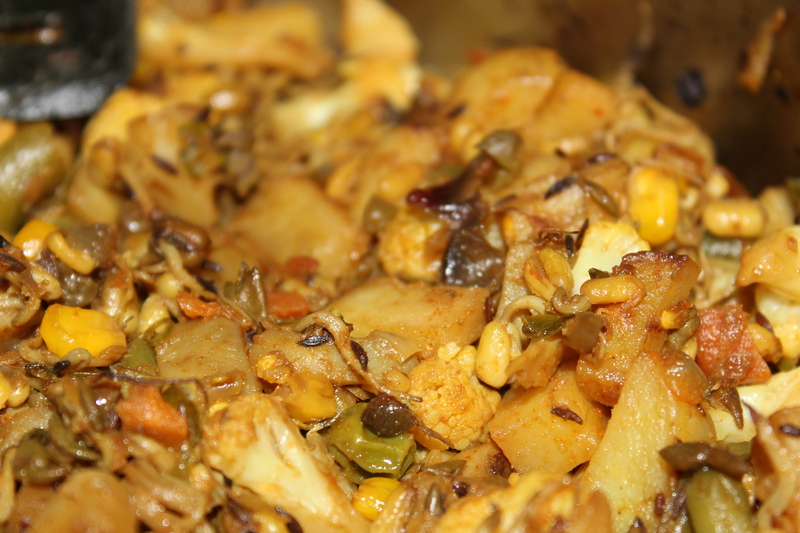 The stuffing in this post uses many vegetables but along with that, I add green gram sprouts. This is one of the best stuffing since it is extremely healthy with proteins and vegetables. Coriander leaves – 1/4 cup. Heat oil and add cumin seeds once the oil is hot. Once the seeds sputters, add the chopped onions. Saute them until they are brown. Add the cumin, coriander and red chilli powder and salt to taste. Add all the other vegetables and cover and cook until the potatoes and cauliflower is done. Once the vegetables are done, add the sprouts towards the end and cook for another 2 mins. Once done, garnish with coriander leaves. 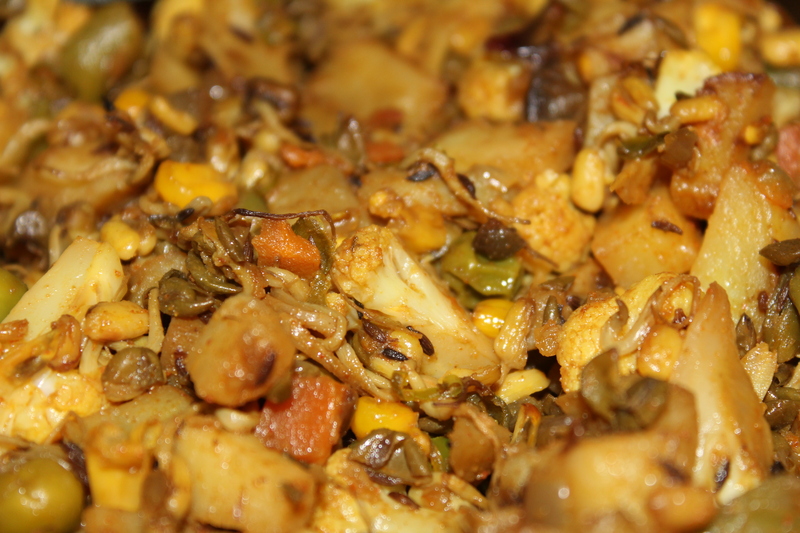 You can use this stuffing for veg puffs or eat it with Simple Dal Palak as a side. Loved your “Spinach stew with coconut and lentils”. Hey Ema. Weekend was great. Cooked some comfort foods. Yeah, I love the spinach stew too. And so does my 3 year old. And the best part is that it freezes really well. Hope you are doing great.